No, surprisingly, I don’t have an accent (or what folks around here would call a “twang” or a “drawl”), I don’t ride a horse to work (yes, someone actually asked me that once) and I don’t own a pair of cowgirl boots or a hat. Now that I’ve probably disappointed half of my readers (the half from Texas), let me tell you WHERE in Texas I’m from. I was born and currently reside in the Petroplex. No, that’s not Metroplex misspelled. I’m from Midland, Texas – Home of George “Dubya” Bush and all things OIL. Compared to Dallas, Houston, San Antonio and Austin, Midland is a small town. Sure, it’s grown in recent years thanks to a boom in the petroleum industry but if you’re used to the likes of NYC and LA fashion bloggers, then it would seem I don’t have much to offer. Midland doesn’t have a Saks Fifth Avenue or a Rodeo drive. Shoot, we barely got internet here last year…. 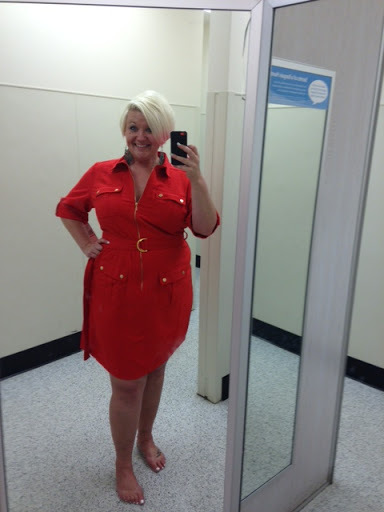 But truth is, staying full-figured AND fashionable in West Texas is a little trickier than other places. Notice I said trickier…not impossible. Thankfully we do have access to the world wide web (which accounts for a lot of my shopping as of late) and we do have a handful of stores that carry cute, trendy styles for those of us on the curvy end of the scale. So, far all my curvy gals from small towns, this one’s for you. I will devote my next several posts to outlining all the places I like to shop in Midland, Texas (and a few online places as well). If any of my small town senoritas want to weigh in, please leave comments. 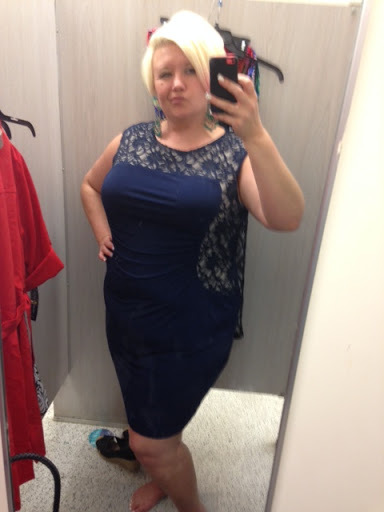 I’m certain there are other places I’ve yet to discover and a curvy girl can never have too many options! Let’s start with some pros and cons about Ross. The biggest plus is the budget-friendly factor. 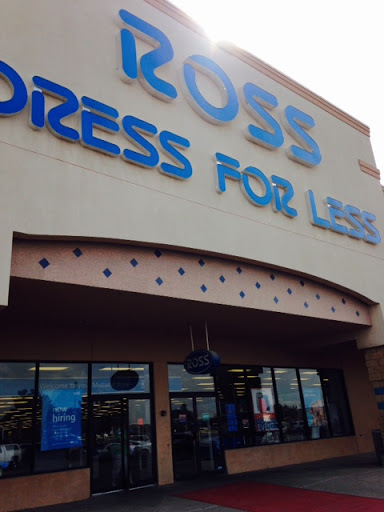 On my recent shopping spree, I walked out of the doors with 3 dresses and a pair of shoes for under $100. I don’t care where you’re from, that’s pretty good. Biggest drawback = messy store. I am not, nor will I ever be, a fan of combing through disorganized racks to find that perfect bargain. Oh the things I do for the love of fashion! I’ve actually heard rumors that Ross stores in other cities are much neater but then again, I’ve heard that Tupac is still alive so I’m not sure what to believe anymore. Another disadvantage is that in the case of Ross, you definitely get what you pay for. Budget-friendly can often mean a lack of quality. I always keep this in mind when shopping Ross and I try not to get too attached to my purchases because there is always the chance that I will only get a few wears out of it before it shrinks, has a hole, fades, etc. 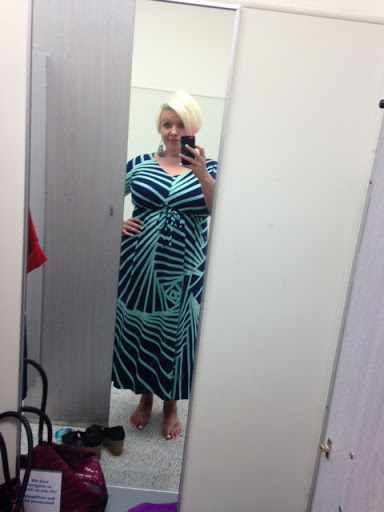 Above is the first dress I tried on. That’s my “it looks better than I thought” face. Outfit #2 and my “I’m not hating it but not quite loving it” face. 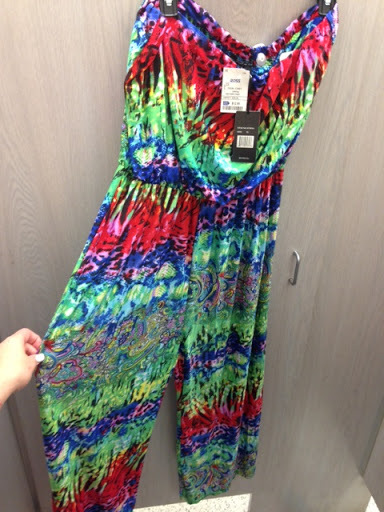 Last one…flow-y + flirty = this dress is has a new home in my closet! I didn't know you blogged! 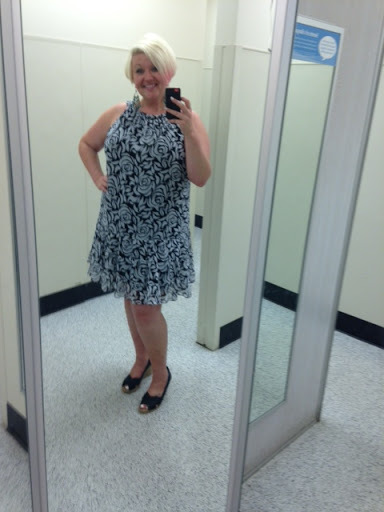 Super fun post….I would've tried the romper too. You never know! Good to hear your fashion thoughts. YAY, Lyndsey! I'm glad you read it and liked it! Hopefully, knowing that people are actually interested will keep me posting.